If you call out a Premier League striker, you might just get a reply. Fulham striker Aleksandar Mitrovic didn’t only cost his side a place in the fourth round of the FA Cup when he missed a penalty against Fulham – he also cost one punter £855. Jamie Blyth took to Instagram to complain to Mitrovic directly about the missed penalty, tagging the striker in a post showing that Fulham to beat Oldham was the only leg of his accumulator that didn’t come through. 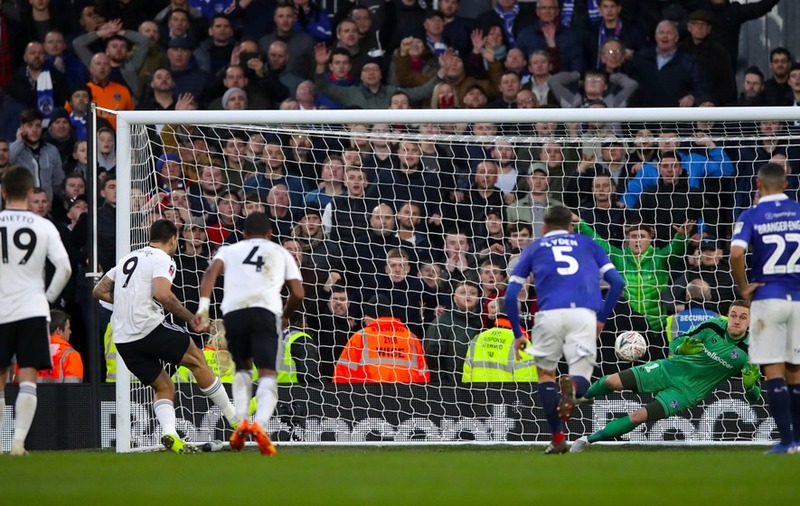 Mitrovic saw his late penalty saved with the score at 1-1 in Sunday’s third-round clash, and Oldham grabbed the winner through Callum Lang moments later. Blyth wrote on his Instagram post: “Thanks @aleksandar_mitrovic_45 only £855 for missing the pen” – but he probably wasn’t expecting a response. Clearly feeling Mitrovic had misunderstood the situation, Blyth reiterated that the striker had cost him £855 rather than won him the money, to which the Fulham man responded: “Yes I know” – with a thumbs up emoji. Fans absolutely loved the response from the striker, with one describing it as “savage” and another calling him a “legend”. And it wasn’t all bad on the betting front – another Instagram user, adamphelpsy, commented that Mitrovic’s penalty miss had netted him £438.